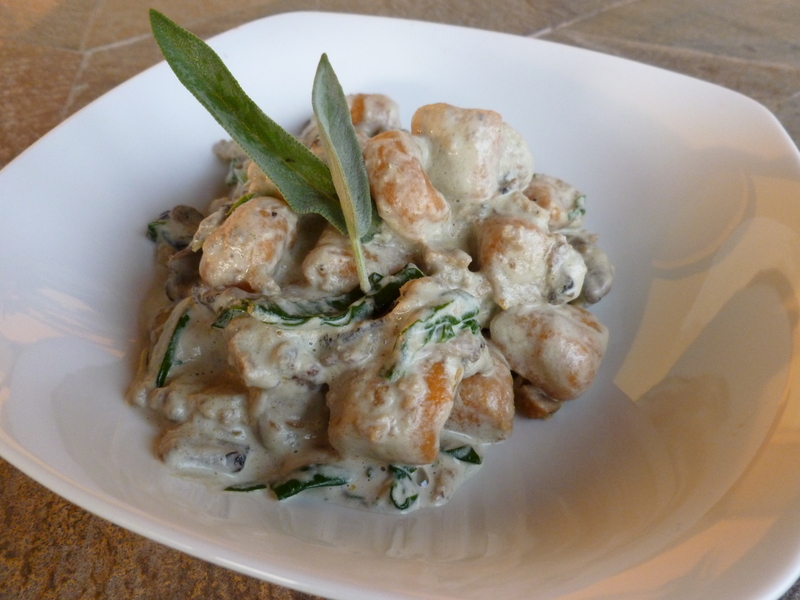 Sweet Potato Gnocchi with Sage Cashew Cream and Sauteed Mushrooms, Vegan Sausage, and Greens. Okay. I’m just going to say it. This is the best thing I’ve ever made! This is omnivore approved and my mom puts it up there with my adapted version of the Vegan With a Vengeance Mushroom and Sun-Dried Tomato Risotto. Yes it’s that good. A little involved, but so worth it. I originally planned to make both orange and purple gnocchi (from purple potatoes)… but the purple just turned to mush when I cooked it. I was just happy that ANY of this worked given that this was my first attempt at gnocchi. It takes time, but it’s really not rocket science. Method based on this recipe. Peel and cut sweet potatoes into bite size chunks. Steam in a steamer basket in a pot or medium-large saucepan until soft (approx. 20 minutes). Mash with a potato ricer (the easy way) or a fork (the longer way) until completely lump-free. Then spread the potatoes across your work surface/cutting board until cool enough to work with. Pull the potatoes into a soft mound and sprinkle with 1/2 cup flour across the top. To incorporate, use a metal spatula or a pastry scraper. If the dough is easily sticking to the spatula or your hands, add another 1/2 cup flour and incorporate. Then, continue adding 2-3 Tbsp flour at a time just until the point when the dough still feels slightly wet, but is not sticking to your spatula/hands (moist but not sticky). Gently knead dough a few times to form into a ball. Cut it into four pieces. Now gently roll each fourth of the dough into a snake-shaped log, roughly the thickness of your thumb. Use a knife to cut pieces every 3/4-inch. Dust lightly with a bit more flour. 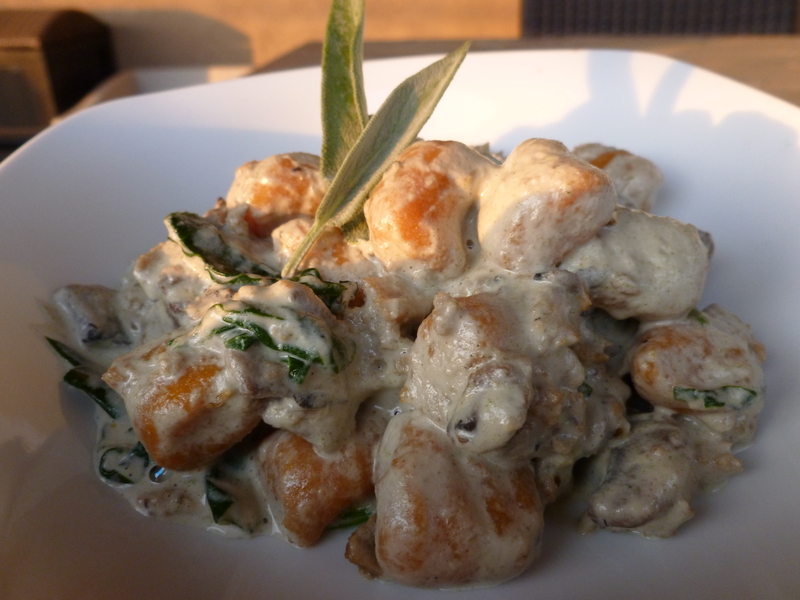 To shape the gnocchi, hold a fork in one hand so that the tines are curled toward you. 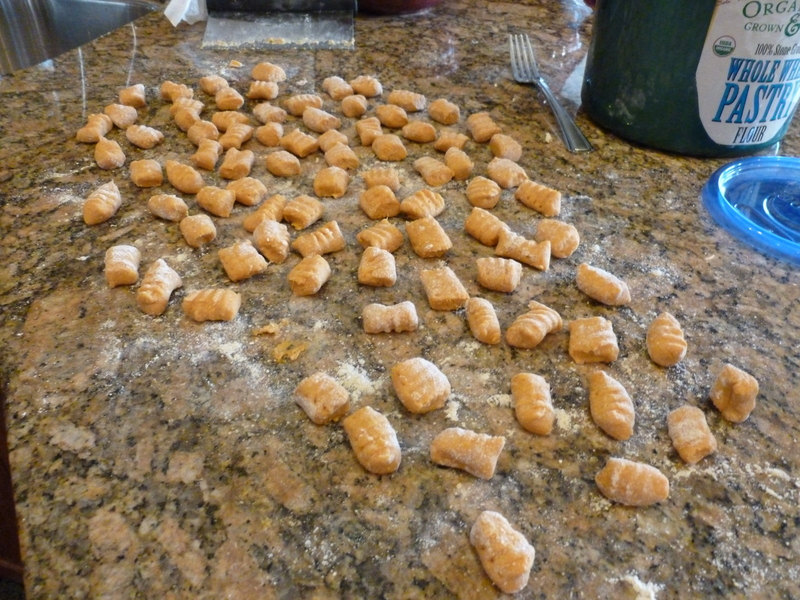 Using your thumb on your other hand roll each gnocchi pillow from the base of the tines to the tips. What you’re aiming for is a slight “c” shape, where the back has small ridges to catch the sauce. Set each gnocchi aside until ready to boil. This is usually the point when I make my sauce and cook the veggies that will go with the gnocchi. I thought they benefited from a few minutes of rest. When you are ready to cook the gnocchi, bring a pot of water to boil. Cook the gnocchi in batches by dropping them into the boiling water roughly twenty at a time. When they pop back up to the water’s surface, give them 10 seconds or so and remove them with a slotted spoon. Have a large platter ready with a generous swirl of sauce. Between each gnocchi batch, add a layer of your sauce and other ingredients, like cooked veggies and greens. Blend all ingredients in a blender till smooth. Add water until the sauce reaches the consistency of heavy cream. It should make about 2 cups (add more cashews if sauce gets too thin, more water if too thick). Heat mushrooms and 1/4 cup water on a pan over med-high heat until mushrooms are cooked down a little, about 3-5 minutes. Add greens, and heat until wilted. Drain any excess liquid, then add crumbled sausage, and heat until warm. Serve with a few fresh sage leaves. Cashew cream (from “He speaks in the silence” website here): This was wonderful, it was lighter in texture than the vegan alfredo sauce I’ve been using, it’s mild in flavor, so it really let the veggie toppings shine. 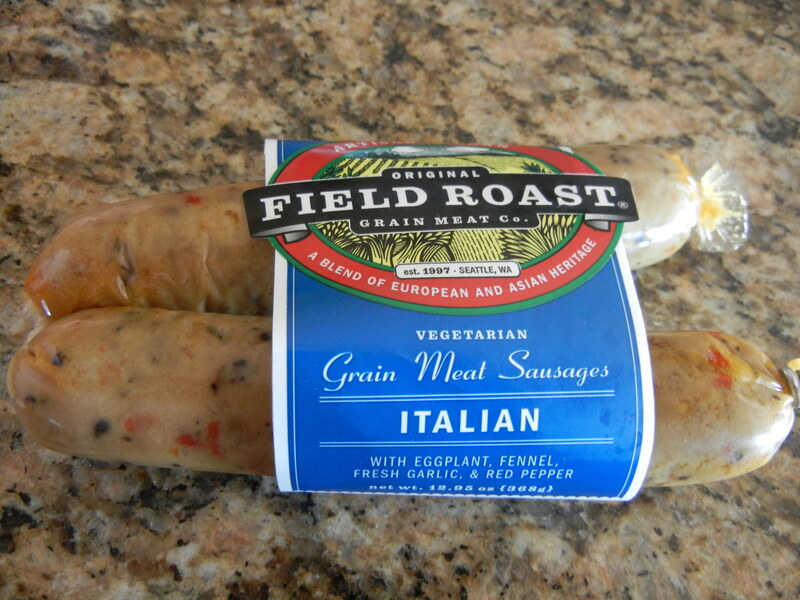 Field Roast Italian Sausage: so delicious and flavorful, but it’s a little higher in fat and made from gluten, so it’s not for everyday or for everybody, but it’s a great treat! 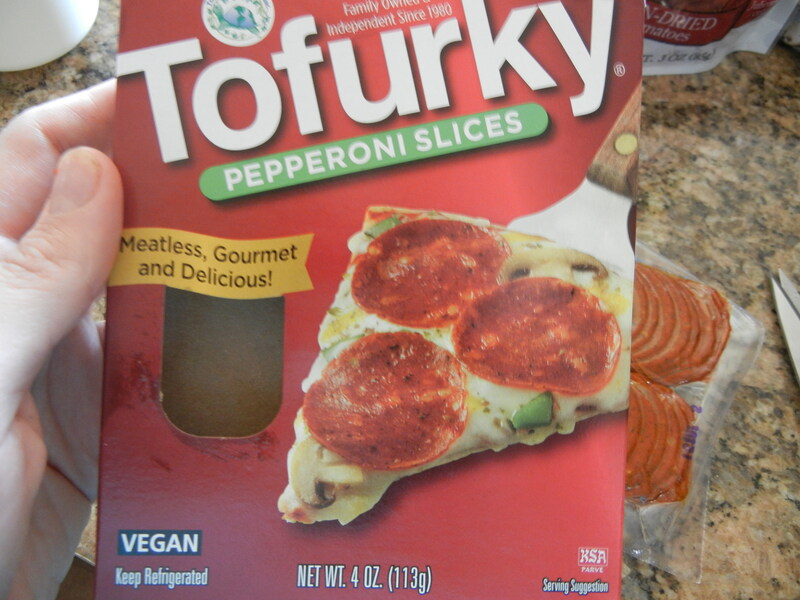 Tofurky Pepperoni: I was iffy about trying this one, and for me and my fellow pizza testers, it just wasn’t great. There are just too many good veggies in the world… this just isn’t necessary to make it better. 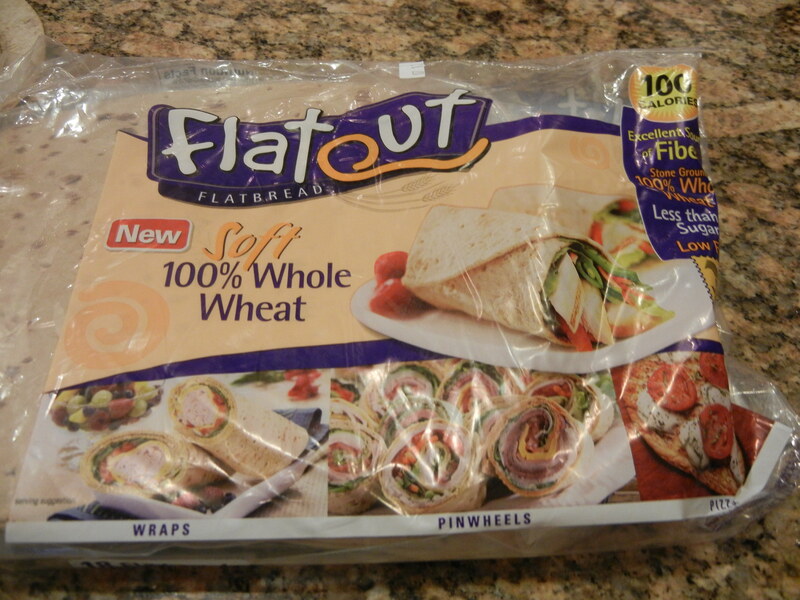 “Flatout” Flatbread (from Costco): pros: 100% whole wheat, makes a crispy thin crust, works great for these pizzas. cons: the ingredient list is a little long. this was a winner. last year we used field roast apple sage sausages in our thanksgiving stuffing, so we had high expectations… and we loved this! Just didn’t have a lot of flavor, not terrible, but not great. 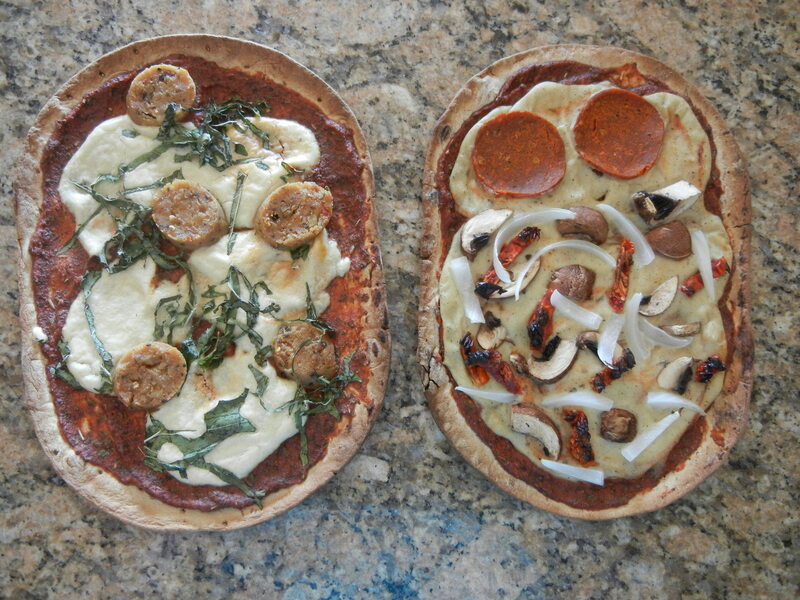 a great, quick option for weeknight pizza night.